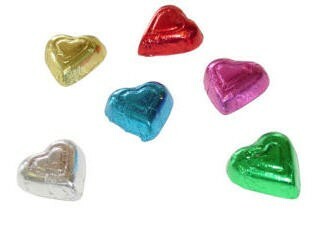 These are the best of the best foiled chocolate hearts. Hand-made with the exquisite and award-winning Madelaine milk chocolate. They come in assorted bright colors: silver, gold, red, pink, blue and green.